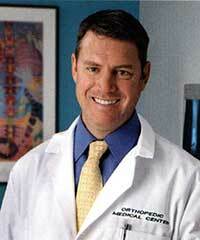 Maurice A. Perry, D.P.M., is board-certified in reconstructive surgery of the foot and ankle. He was born in Washington, D.C., and graduated from the University of Virginia with Bachelor Degrees in Chemistry and Psychology. After college, Dr. Perry graduated from Barry University School of Podiatric Medicine with a Doctorate in Podiatric Medicine and a Master of Science Degree in Biomedical Science and Applied Research. He completed his residency at West Valley Hospital in the San Fernando Valley. He is a Qualified Medical Examiner (Q.M.E.) and specializes in foot and ankle trauma, sport medicine, and wound healing involving the lower extremities. 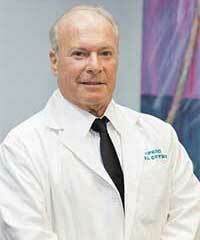 Dr. Perry has been treating patients with foot and ankle problems at Orthopedic Medical Center since 1990. He is highly qualified to help you with any podiatric problems resulting from birth defects, heredity, trauma, arthritis, physical stress, improper shoes, muscle and joint imbalances, and even the hard surfaces on which you walk. Research reveals that more than 70 percent of all people in the United States have painful foot problems at some point in their lives. Podiatric surgery differs from other surgical procedures because of the special functions of the lower extremity. In addition to supporting your weight, the foot is subjected to repeated abuse with each step. Dr. Perry believes providing immediate treatment and preserving the best function possible are key. 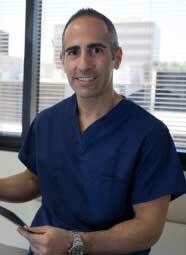 He teaches good foot health that can enhance your daily existence and improve the quality of your life. He is married with one child and his many hobbies include collecting model trains.